You may clean everything in your kitchen quite thoroughly, but don’t forget one of the most essential kitchen tools: the cutting board. This video tutorial shows you an easy way to make your wooden cutting boards sparkling fresh. The best part? You only need two ingredients: lemon and salt. Sprinkle the cutting board with salt, then slice a lemon in half and use it to rub in the salt and “exfoliate” your board. Scrape off the dirty remains and rinse your board to complete the process. 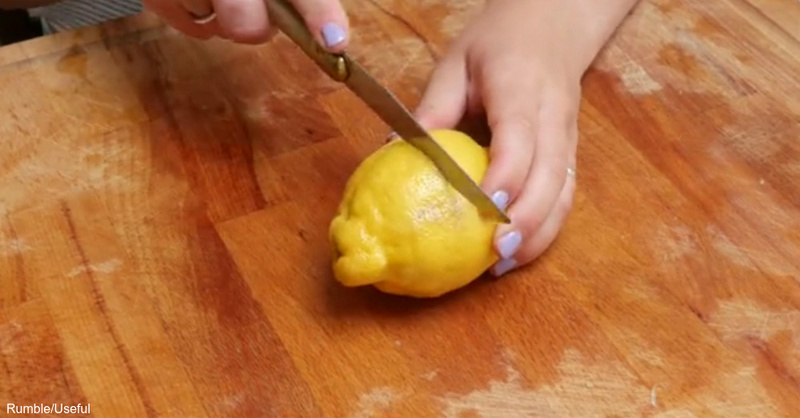 The lemon keeps your cutting board smelling fresh while the salt lifts stains.